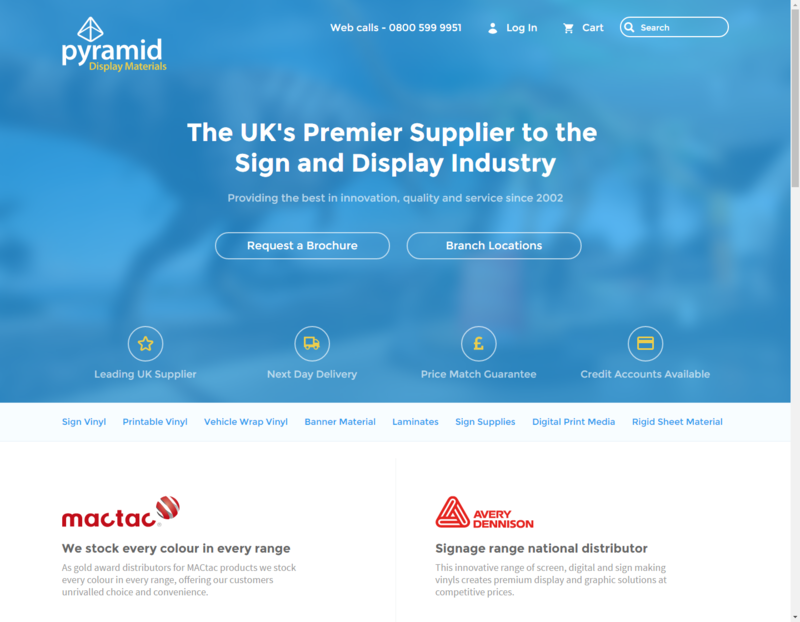 Pyramid are well-established as the largest UK distributor of products for the signage and large format printing industries, and have five depots across the UK. When they approached us for help their total online presence was a simple landing page with no functionality. 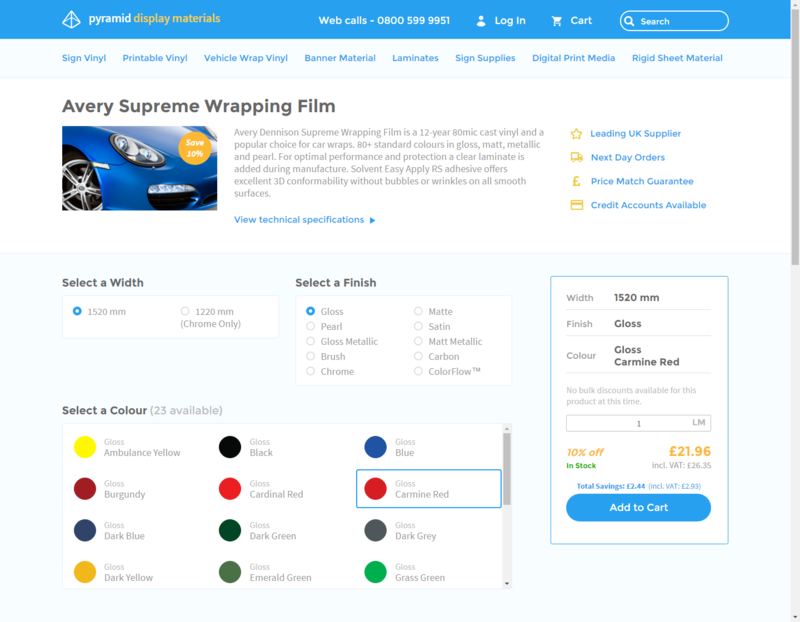 The desire to expand their business into the online market was driven by the demise of Pyramid’s largest online competitor, creating a large number of potential customers searching for a new online supplier. Pyramid tasked us with building a website able to compete for online sales with their established online competitors within three months of its launch. The website needed to be highly functional, user-friendly, and reflect Pyramid’s high status in the offline marketplace and recreate that online. 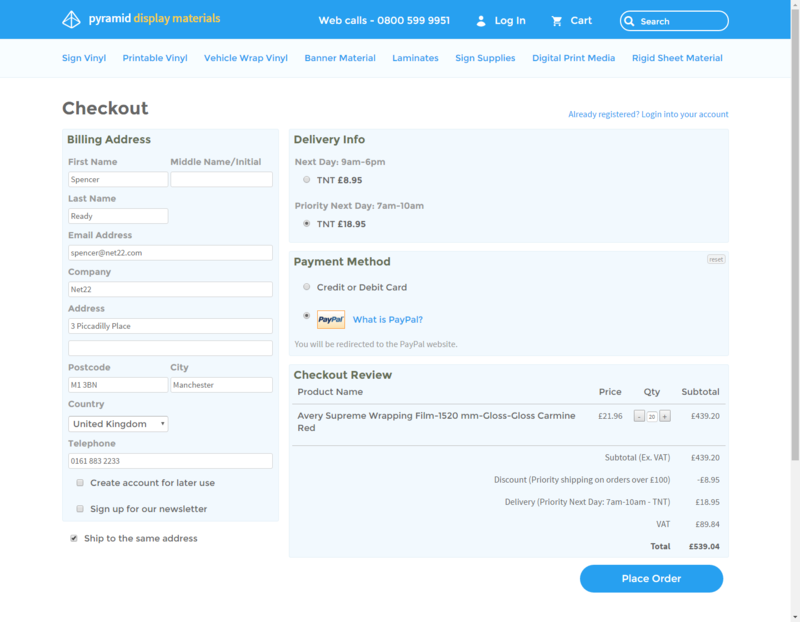 The site needed to be well-crafted, stylishly rendering the Pyramid brand and creating a superlative user experience to ensure the online buying experience is comparable to the buying experience that has built Pyramid’s reputation offline. 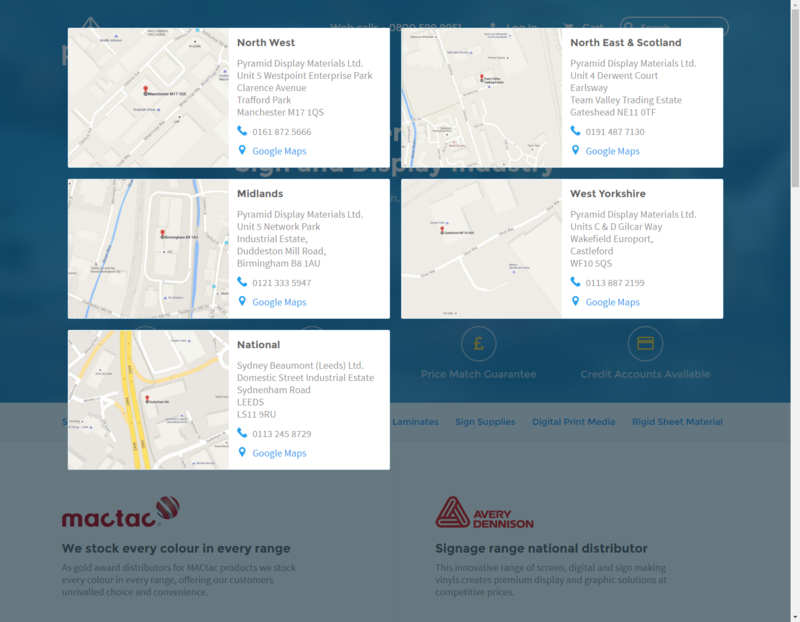 Products would be available through either a ‘click and collect’ service from the Manchester depot or through a next day delivery across the UK, with the relevant shipping costs applied. 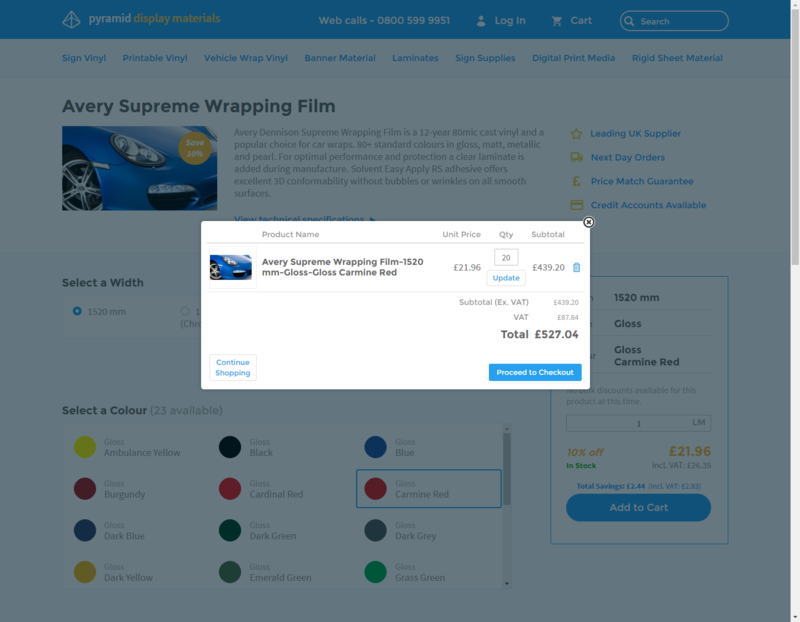 User accounts needed to provide personalised pricing based on the type of customer who was logged into the site. Pyramid also required a fully managed website service to support and grow the system, and ongoing consultative services focussing on digital marketing strategy campaigns and implementation. Our initial phase of work centred on creating a rigorous competitor analysis report detailing the online performance of the main competitors; a keyword report detailing the major business, category, and product keywords to inform marketing and around which the site would be structured; a definitive list of the products to be available on site at the launch; a comparison of potential pricing models and the recommended option for launch. The next phase of work focussed on creative thinking exercises and collaborative discourse in order to develop ideas about how to visually define Pyramid’s image in the digital landscape. The client was then presented with four strategic design concepts from which they chose the design direction which was then further refined using client input. With the approved digital aesthetic in place, work began on outlining and structuring site development and the content to be presented on the site. Hosting was set up and the server configured. Frameworks were selected and installed for the site to leverage, and the site pages were designed and coded. 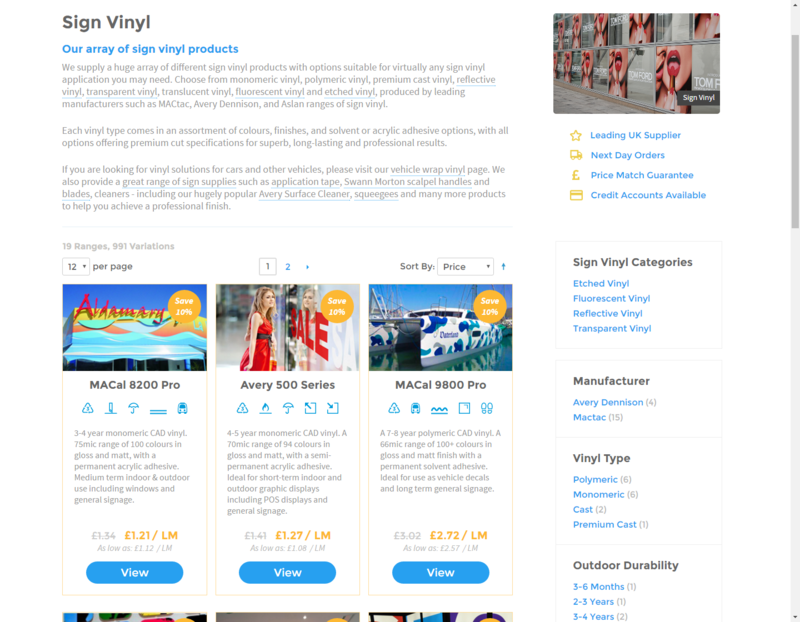 During this phase we also gathered, uploaded, and categorised site content such as product descriptions and imagery, product brand information, iconography, and other site assets. The client was then presented with mock-ups of page templates and an outline of the technologies used to run the website. To ensure Pyramid ranked on Google within local search results and was shown on the Google map we undertook local SEO work. We began running Google campaigns for Pyramid as a wider marketing strategy that guaranteed coverage on keywords immediately following launch, and allowed us to gain insight into how customers were using and behaving on the site. This information allowed us to compete across a wider range of keywords.